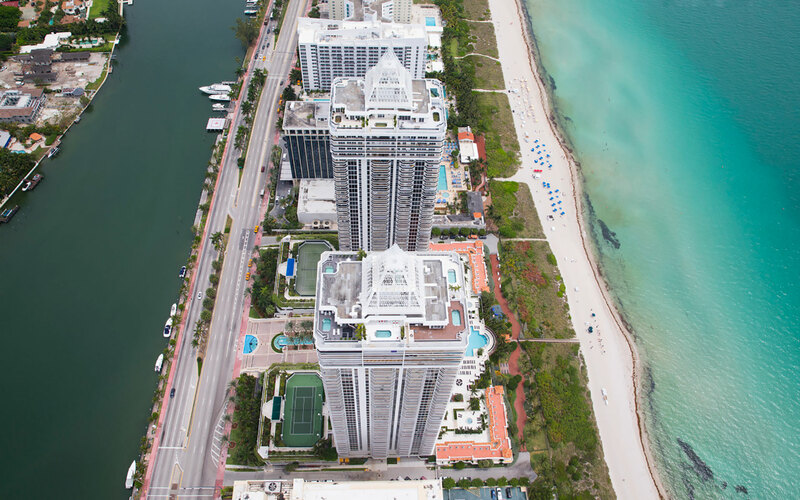 If you have ever wondered how it is to live in luxury, you definitely have to take a look at what Miami’s luxury real estate has to offer. 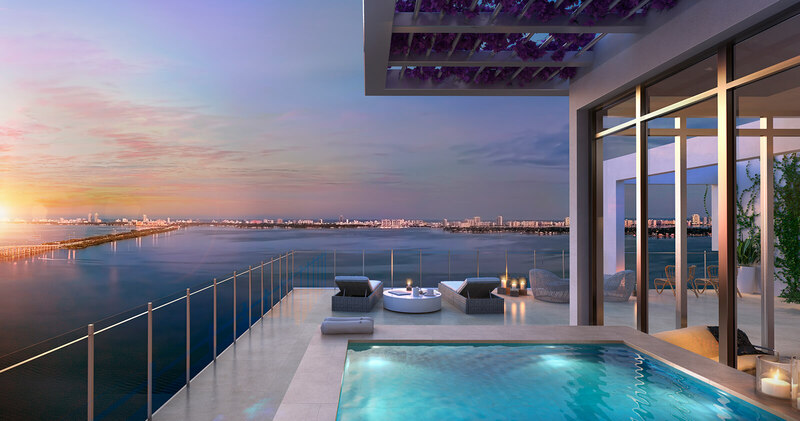 Not only you will be astonished with the most incredible views and settings but also, these Miami properties have been brought to life by the most acclaimed developers, architects and designers so you can expect nothing but lavishness. 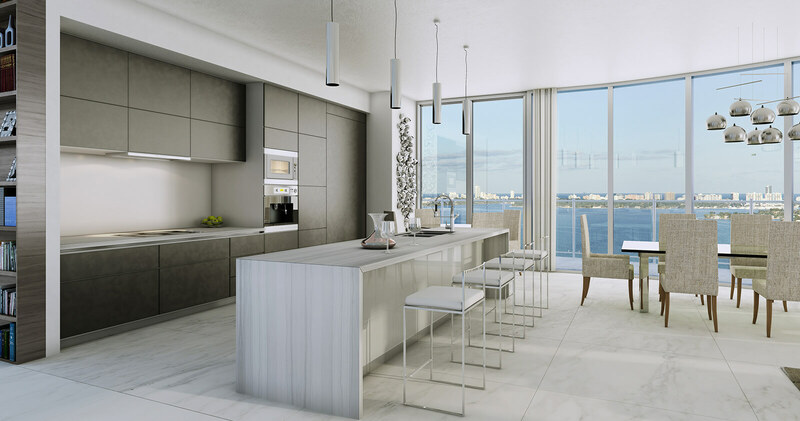 Sophisticated designs, on-point features and fixtures, resort-style amenities and the most refined services are just some of the pulls of owning a luxury condo in Miami. Here are five of the most exclusive examples for you to check out. Designed by Renzo Piano, the famous Pritzker awarded architect, and created a new contemporary architecture, design and landscape approach, Eighty Seven Park is the epitome of living art. 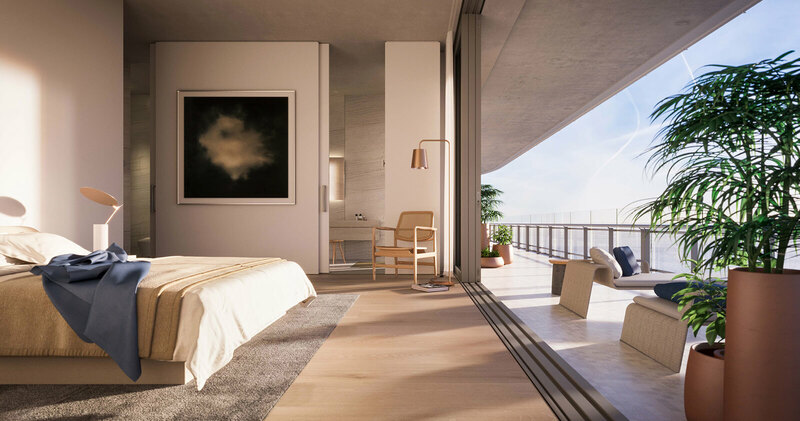 The stunning building is set right on the oceanfront in Surfside, Miami Beach boasting 18-stories, including the penthouse with residences that offer open spaces, full of light and air, and the best water and city views that this elite neighborhood can provide. This elegant residential masterpiece set in the prestigious Edgewater neighborhood, portraying amazing views over Biscayne Bay from its floor-to ceiling windows and the expansive balconies. Aria features 1 to 3 bedrooms, open layouts, exceptional finishes and the most indulging amenities including three curved sunrise/ sunset pools, a fully equipped fitness center, and several social areas to pamper residents to its most. 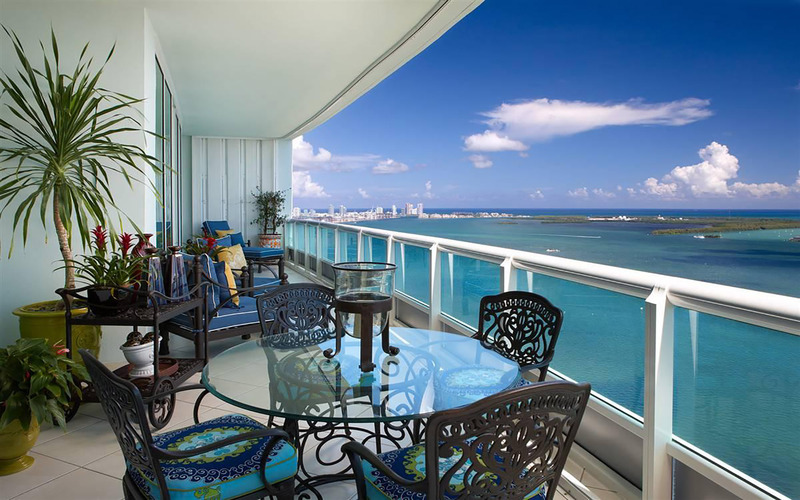 Blue & Green Diamond is another stunning luxury condominium in Miami Beach. The building stands two towers considered to be the tallest buildings in the area with 45 stories and about 315 units per tower. This condo is known for its fine interiors and high standard of amenities featuring expansive tennis courts, a fitness center, a relaxing spa, plus sauna & steam rooms. All thought to fit the most discerning investor lifestyle. Located in North Edgewater, right by the Miami Beach Bridge you will find Gran Paraiso. This imposing residential tower offers gorgeous views of the waterfront line thanks to its architecture which displays floor-to-ceiling window walls and glass-rail terraces. Gran Paraiso also gives residents get exclusive access to the restaurant and beach club by Michael Schwartz and indulges them with amenities such gardens & pool terraces by Enzo Enea and Pablo Atchugarry unique art work. Featuring iconic luxury residences in the desirable Miami’s Brickell neighborhood Santa Maria Brickell is a beyond luxury fifty-one story residential condo designed by Luis Revuleta from Revuelta-Vega-Leon. The building is set within a secure and prime gated ambience offering its resident all the security needed for a peaceful lifestyle. The building features unbelievable amenities like expansive tennis and racquetball courts, a nurturing lap pool, and a Jacuzzi.